The OC Register Metro today announced its ’40 Under 40′ list, which honors 40 individuals, under the age of 40, as Orange County’s most interesting and highest achieving individuals. We proudly announce that our President and Founder, Stacey Kaszton, has been chosen as one of the honorees featured in the May 2014 issue of OC Metro (available now on stands). Alongside her peers, Stacey is being recognized as a fabulous, forward-thinking leader that is driven, passionate and accomplished in business and philanthropy. Read the full article on Stacey here. The OC Register Metro will celebrate all #40UNDER40 honorees at an invite-only reception on Thursday, May 15 at the Chuck Jones Gallery in Costa Mesa. As the region’s only leadership-focused glossy magazine, OC Register Metro is published for Orange County executives, entrepreneurs and professionals and aims to bring readers inside the lives of the most interesting and accomplished individuals in the county. Congratulations Stacey! We know this is just the beginning for you! The Orange County Chapter of the Public Relations Society of America (PRSA) has been recognized for embodying and demonstrating key values in diversity with the 2013 Chapter Diversity Award. The award, presented at the PRSA 2013 International Conference Diversity Mixer in Philadelphia, is given to individual PRSA Chapters that exhibit diversity and represent movement to the betterment of diversity. By recognizing efforts of the Chapter, the award also contributes to advancing diversity. Contributing to the OC Chapter’s success was this years 9th Annual Diversity Forum, which took place this past September. The event was titled “Don’t Get Lost in Translation: How to Decipher Cultural and Generational Shifts” and acted as a development resource to educate both student and professional PR specialists regarding diversity initiatives and best practices. The event was moderated by Los Angeles Times reporter Anh Do, known for her coverage of multicultural communities. Other speakers included executives and business leaders in their field who spoke of their involvement in the outreach of growing cultural diversity. La Voz Marketing proudly congratulates its local chapter OCPRSA on this important recognition! PRSA is the largest professional organization serving the U.S. public relations community. Their mission is to “advance the profession and the professional” by providing news and information, continuing education and networking opportunities. At La Voz Marketing, we strongly believe in the business value of Public Relations, advocate for greater diversity among our fellow professionals, and support our clients in developing and executing diversity initiatives through our multicultural marketing expertise. Locale Magazine’s Orange County Holiday 2012 issue is now available at newsstands and we’re thrilled to see products from both Tavik and Incipio featured in this special issue! The Holiday Survival Guide, a section within this issue, features everything from gift ideas for that special lady or friend to Where to Find Good Cheer and Nearby Holiday Getaways. Tavik’s Holiday 2012 and Spring 2013 lines are mentioned as a great gift for The Guys. 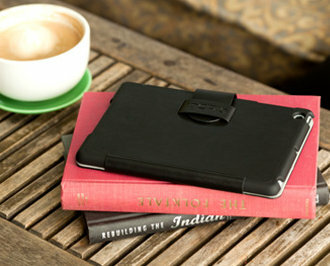 Meanwhile, Incipio’s Fixie Universal Tablet Stand was recommended for those looking to buy a gift for The iPad Junkie. On a different note…why is it that every year the Holiday season approaches quicker than the last? Well, at least we’ll be somewhat prepared with this gift guide. Thanks Locale! Want to read the full Holiday Survival Guide? Check it out digitally at localemag.com. It’s here! This week, Apple announced it’s newest device, the iPad mini and Incipio was quick to respond, releasing it’s first line of iPad mini cases – the LEXINGTON, LGND, NGP and top-selling feather. These four cases are available for pre-order online at Incipio.com and will soon be in retail stores nationwide. The new iPad mini has everything the previous generation iPads have, just fitted into a smaller space. The iPad mini not only has a smaller 7.9 inch display (the iPad 2 has a 9.5 inch display), it also has an astonishing 10 hour battery life, advanced Wi-Fi that is twice as fast and access to fast data networks around the world. Another great aspect to the iPad mini is that all the apps made for the previous generation iPads work with the iPad mini! For the fifth year in a row, Incipio is running its Case For A Cure event which fundraises to support the fight against breast cancer. Throughout the entire month of October (which happens to be National Breast Cancer Awareness Month), Incipio will donate 20% of each pink accessory purchased online at Incipio.com to The Breast Cancer Research Foundation® (BCRF). Indulge in your favorite pink Incipio product for your smartphone, tablet or MacBook at incipio.com/pink-products and show your support. Together we can increase funds and public awareness, all in hopes of finding a cure for breast cancer. To learn more about BCRF’s mission visit Bcrfcure.org. By the way, Incipio’s Case for A Cure event was recently featured on GeekSugar.com. 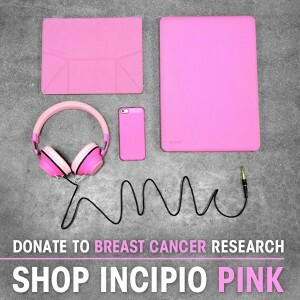 Read their piece here: ‘Outfit Your Gadgets in Incipio’s Pink Gear For a Cause’. Shortly after Apple announced the release of its much anticipated iPhone 5 yesterday, TAVIK, released a new line of cases for the iPhone 5. Applying the beach, street and music influence that TAVIK is recognized for, their new iPhone 5 case collection will be the first to market in the action sports industry and will be available in retailers like Jack’s, Karmaloop, and PacSun the same day the new iPhone drops, September 21. TAVIK is a pioneering apparel brand who recently stepped into the smartphone case industry. 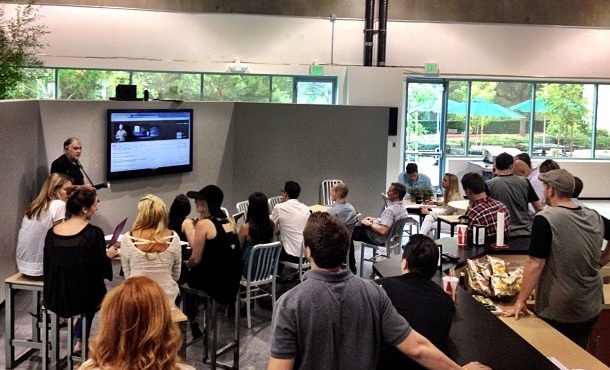 As the much anticipated iPhone 5 launch approaches, our client Incipio prepares for confirmation of what the next iPhone will be. This new iPhone 5 means business for Incipio, so this announcement is very crucial in determining if their predictions were correct. Even though there have been rumors pointed toward Apple launching a larger iPhone for months, Incipio (a company largely shaped by Apple’s handhelds) remains cautious about acting on apparent rumors.